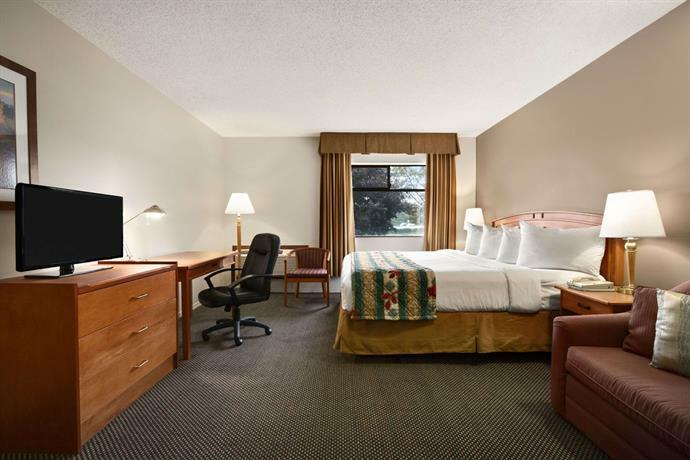 This hotel is situated within a 2-minute drive of the Trans-Canada Highway and is well suited for guests travelling through the area or looking to explore Chilliwack by car. The Cottonwood Mall, shops and restaurants are located within a 3-minute drive of this property. Both smoking and non-smoking accommodations are available. 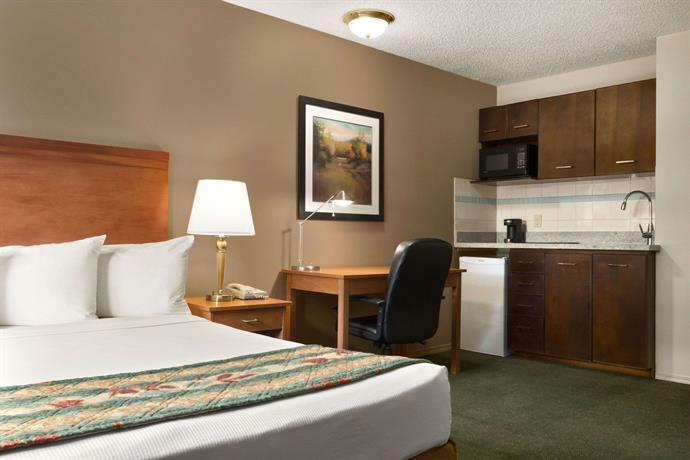 All rooms include free Wi-Fi, free local calls, an iron and ironing board, a TV, a coffeemaker, a hair dryer, a safe and individual climate contol. 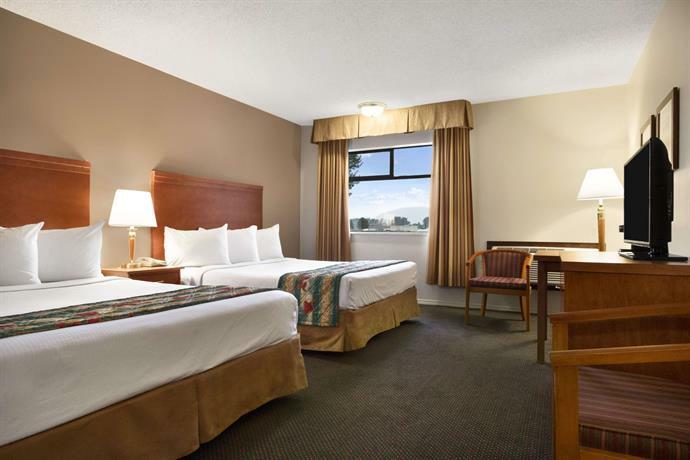 Rooms are furnished with one double bed, one queen bed, two queen beds or one king bed. 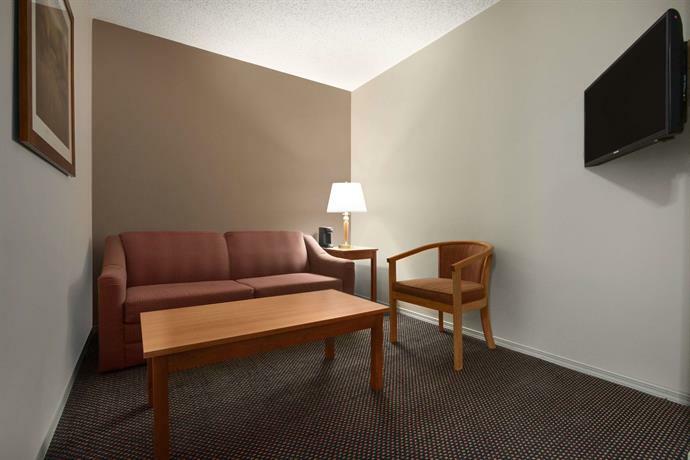 Suites provide more spacious accommodations and also include a separate sitting area, a mini-fridge and a microwave. 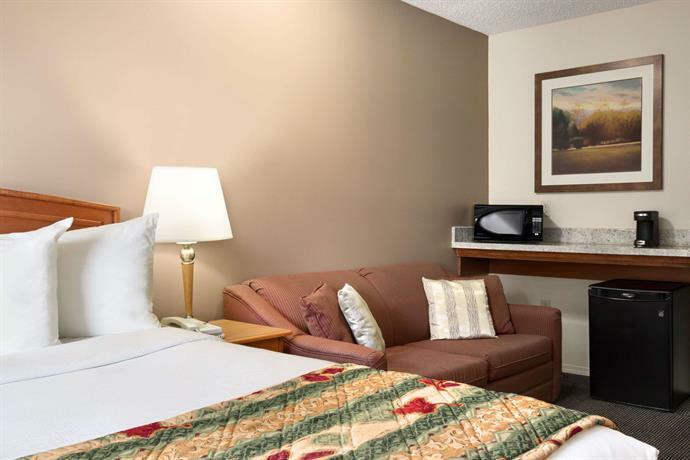 Suites furnished with one queen bed and one double bed also include a kitchenette (stove, oven, fridge, microwave, coffeemaker, toaster, cookware and dinnerware). 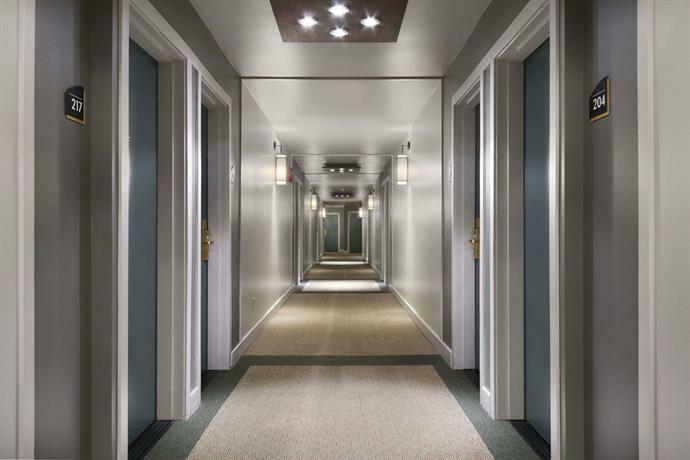 This hotel has two floors and no elevator. 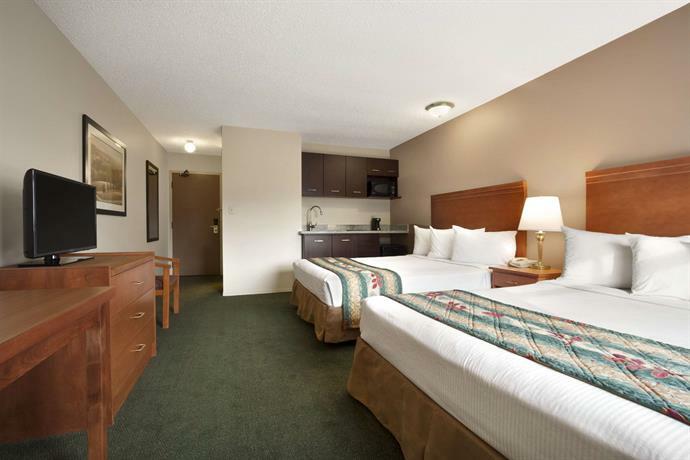 Free parking is available on site and pets are permitted for an additional fee of $10 per night. The on-site restaurant, The Pantry Restaurant, serves breakfast, lunch and dinner. The on-site restaurant also offers bar service. 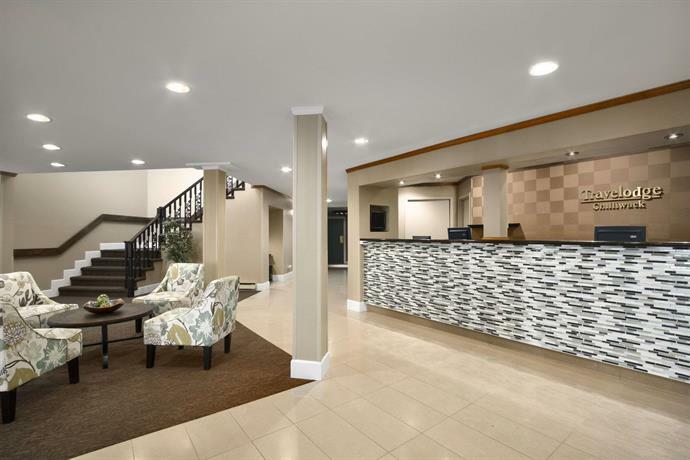 Other on-site amenities include a fitness centre, an indoor heated pool, a hot tub, guest laundry facilities, meeting rooms, guest copy and fax service, a 24-hour front desk and ice/vending machines. 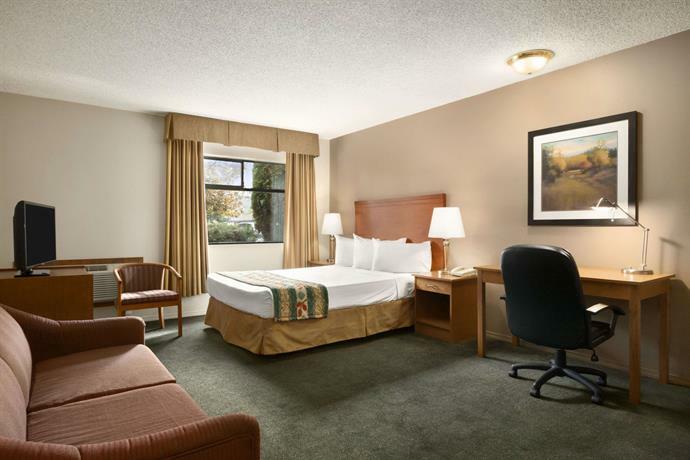 Verified by a front desk agent on January 4, 2012: Pets are permitted for an additional fee of $10 per night. 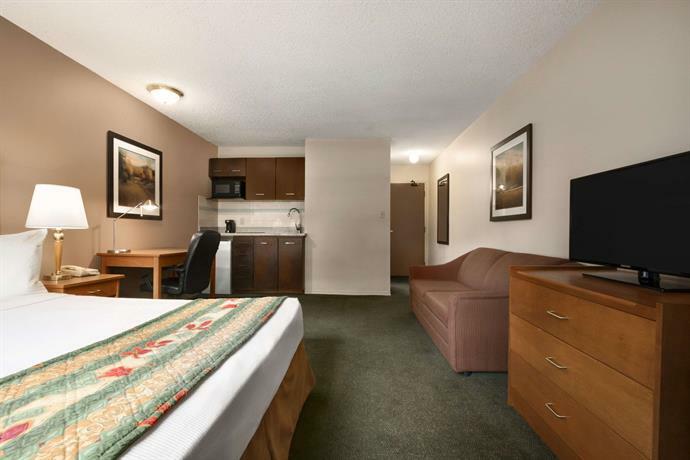 The official hotel website indicates "golf", but this is not an on-site amenity. The nearest golf course is 7 minutes away by car. 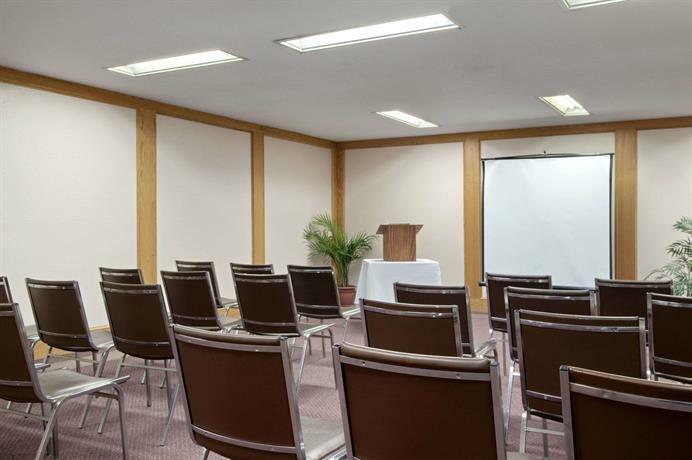 Many guests described overall positive experiences at this hotel and a few reviewers said that they were likely to return to this hotel again in the future. 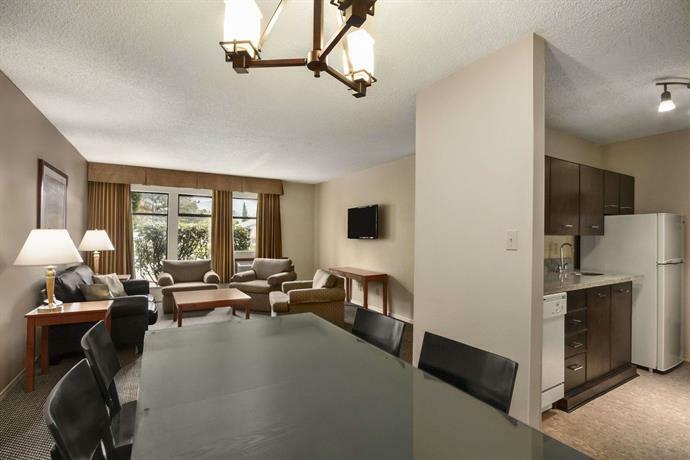 Among the reviews used for this analysis, room cleanliness and location were mentioned as the highlights of this property. 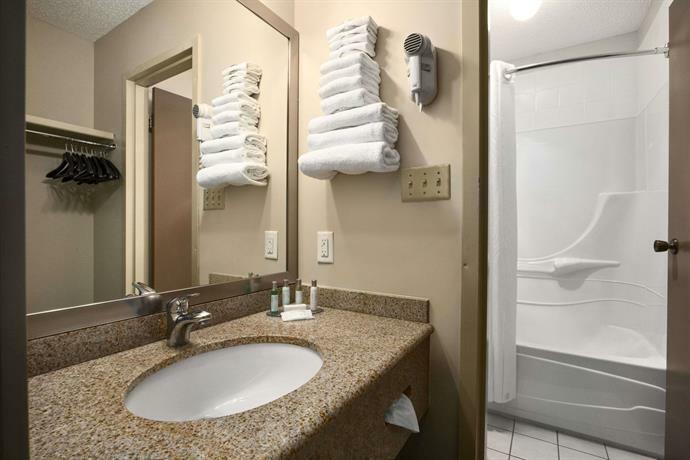 Many guests described their rooms as clean and a few reviewers found their rooms to be generally comfortable. 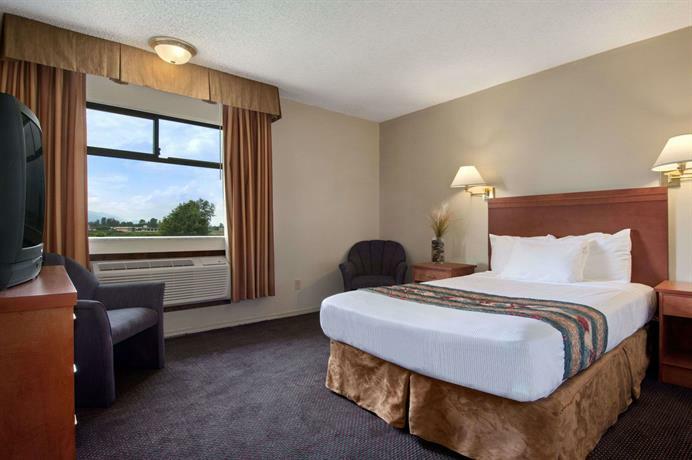 Several reviewers mentioned that despite the hotel being close to the highway they heard no traffic noise in their rooms. Many reviewers found the location to be convenient for accessing the Trans-Canada Highway and exploring the area by car. 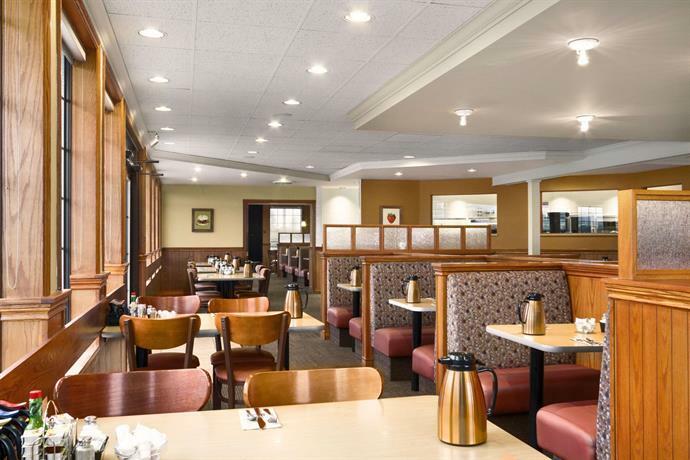 A few guests said that the location provided easy access to the shopping and dining area near Cottonwood Mall. Several guests described the indoor heated pool as clean and well maintained. However, a few guests had concerns about the water temperature (see below for more details). Several reviewers appreciated the convenience of the on-site restaurant and a few guests thought that the room rates were reasonable. Several guests found their guest bathrooms to be small and cramped, among the reviews sourced for this analysis. A few of these reviewers described having difficulty moving around in the bathroom and one guest said that the shower head was too low. A few reviewers encountered difficulty operating the in-room climate control and maintaining a comfortable temperature. 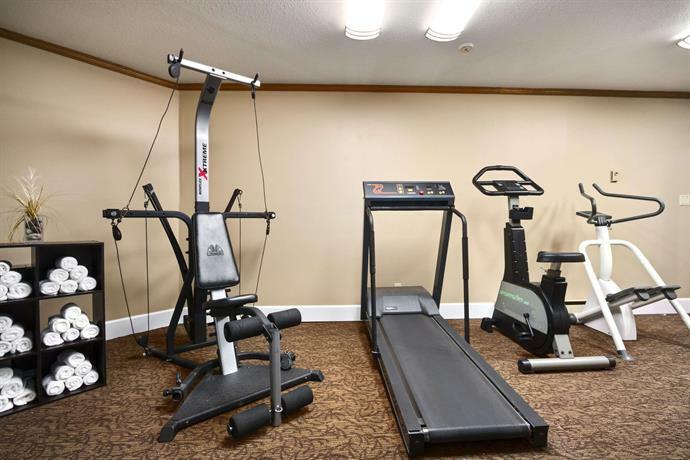 While the indoor pool was described as clean and well maintained by several guests, a few reviewers thought that the indoor pool was slightly too warm and that the hot tub was too cool. 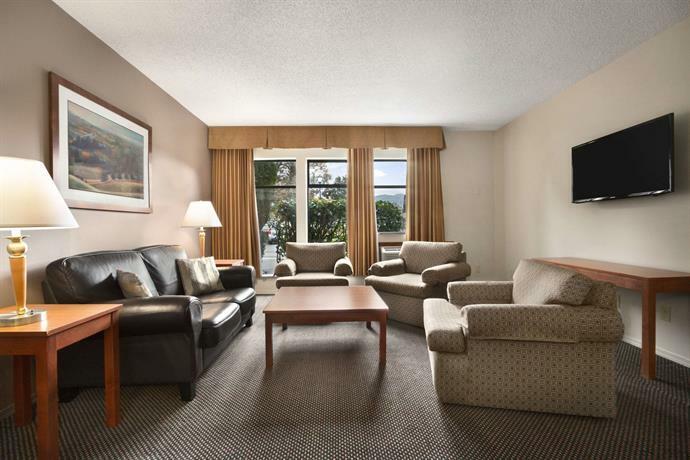 Expedia.ca gave this hotel an average score of 3.7 out of 5, with 86% of 36 guests recommending the property. 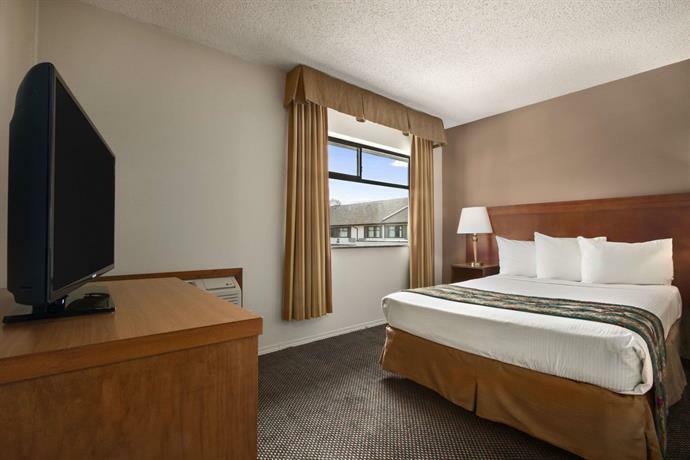 TripAdvisor.ca ranked this hotel #6 out of 10 properties in Chilliwack, with a average score of 3.5 out of 5 from 57 reviews. Booking.com gave this property an average score of 7 out of 10 based on 16 guest reviews. 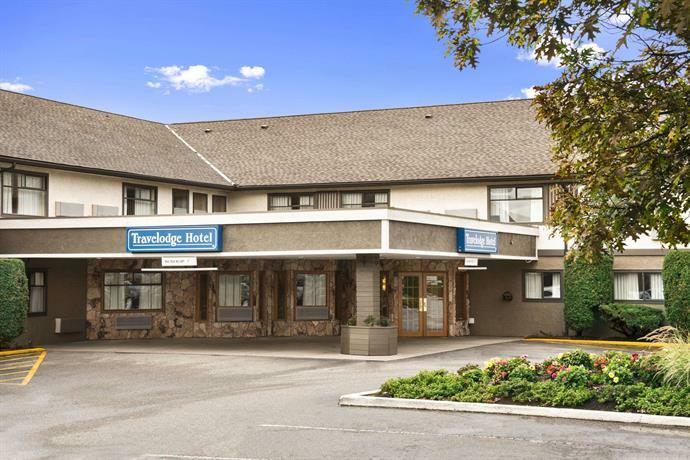 The average guest rating for Travelodge Hotel by Wyndham Chilliwack is 7.0 out of 10 based on 1584 reviews from past guests. 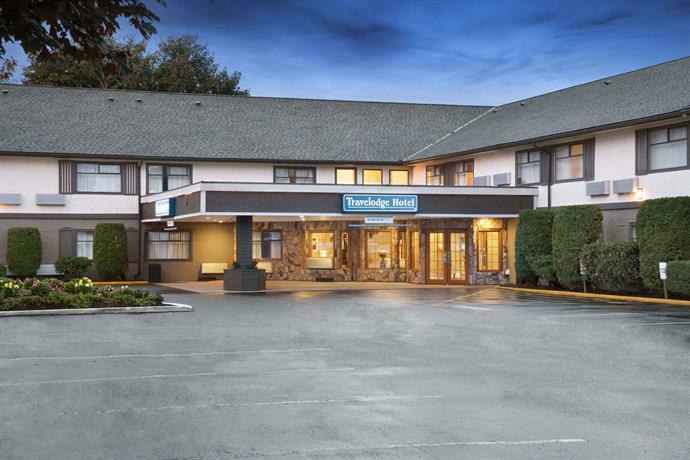 This average guest rating ranks Travelodge Hotel by Wyndham Chilliwack at #7 out of 7 hotels in Chilliwack.